It is effective as of 23 August. The so-called Normandy Four leaders – French President Emmanuel Macron, German Chancellor Angela Merkel, Russian President Vladimir Putin and Ukrainian President Petro Poroshenko – supported the decision of the trilateral contact group on a Donbas settlement to declare a ceasefire, effective as of 23 August, because of the start of a new school year. The four leaders discussed the initiative during a conference call on 22 August. "The leaders expressed hope that this ceasefire will lead to a sustainable improvement of security situation in the interests of school children and all civilians in Donbas," they said in a statement. They agreed to personally oversee the observance of the Minsk agreements on ceasefire. The four leaders' political advisers met in Minsk on 16 August. 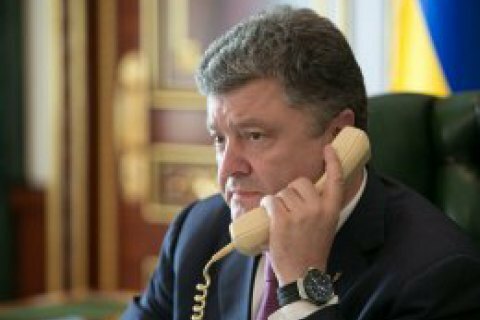 The leaders had the last conference call on 24 July. Last time they met in the autumn of 2016.